New era server files with possibility to downgrade this server files into any Season you like.Disable Summoner and Ragefighter with ease. Everything configurable by administrators of servers. The ability to exclude from gameplay, characters, Summoner & Rage Fighter. The ability to tailor a server running the old version by disabling a new feature in the 6th season. On our Season you can easily make new Chaos Goblin Mixes, Custom Invasions, easily add new Custom Monsters and Worlds. There’s alot of things you can’t gain in free or any other server-files. Make private store and go offline when your character will be still online selling items. 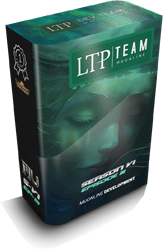 LTP-Team is small server files development team which goal is to maximize the possibilities of game and at once to help peoples without any knownledge to make superior and unique projects. Team was founded in 2014 r.